James Jones & Sons, Timber Systems Division are celebrating another successful Product Training Course which took place in October, at their factory in Forres, Scotland. 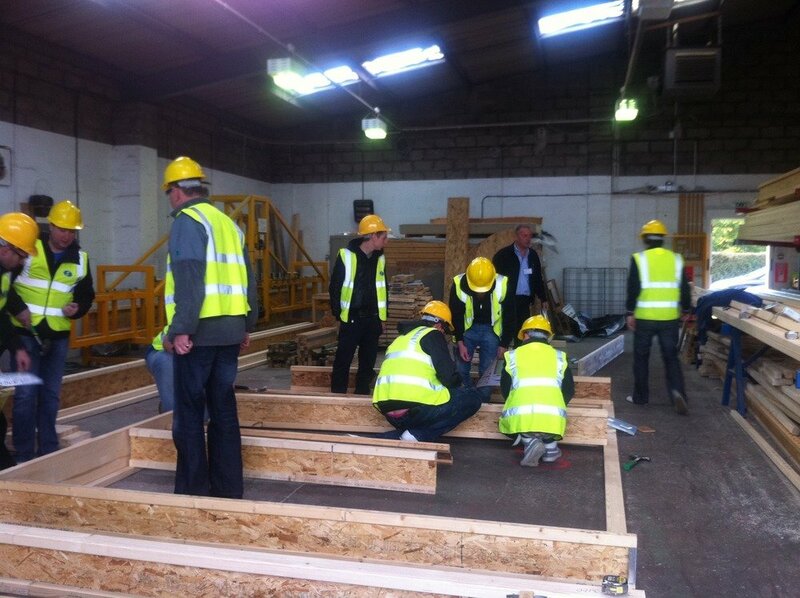 The 1 &frac12; day intensive course has received excellent feedback from participants, who came from four of James Jones’ key distributors – National Hickman, David Smith, North Yorkshire Timber, and Robinson Manufacturing Ltd.
James Jones incorporated a tour of the plant, and a ‘build a floor’ session into the course, which proved to be a successful training method, with positive test results at the end of the course. James Jones would like to thank everyone involved in the smooth running of the training course, particularly Lynford Chambers and Stephen Stewart for their hard work in setting up and presenting.